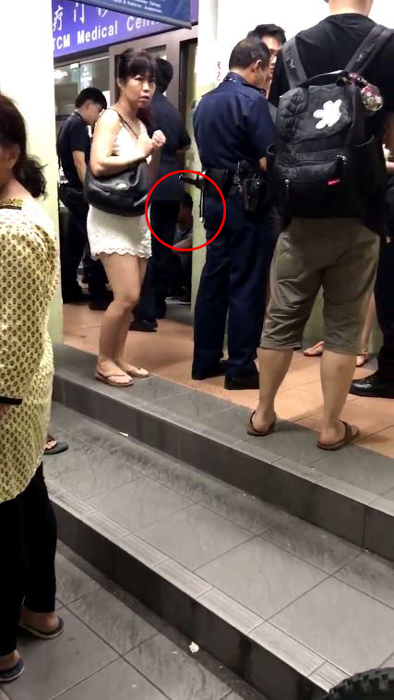 An alleged molester who had touched the buttocks of a woman was arrested at Block 371 along Bukit Batok Street 31 yesterday (Feb 11). Randy, an UberEATS rider, told Stomp that at around 8pm, he saw a group of people who appeared like they were looking for someone. Upon questioning them, he found out that they were family members of a woman who was said to have been molested. After completing a food delivery, he returned to the scene at 9pm where he saw police officers and an ambulance. "It was 9pm when the police and ambulance came because the suspect was roughed up by the family members," said the Stomper. Stomp understands that a scuffle had broken out. Randy told Stomp that he overheard an aunty at the scene who said that the family member had kicked the suspect. Randy also heard from one of the family members that the suspect had touched the woman's buttocks. According to the Stomper, the accused had allegedly told one of the family members that it was an accident, however upon being questioned by the police, he denied that the incident even happened. In a video showing the aftermath of the incident, police officers can be seen talking to the victim, a woman who was wearing a floral dress. The accused is also seen sitting on the floor with his head hung low as police officers questioned him. 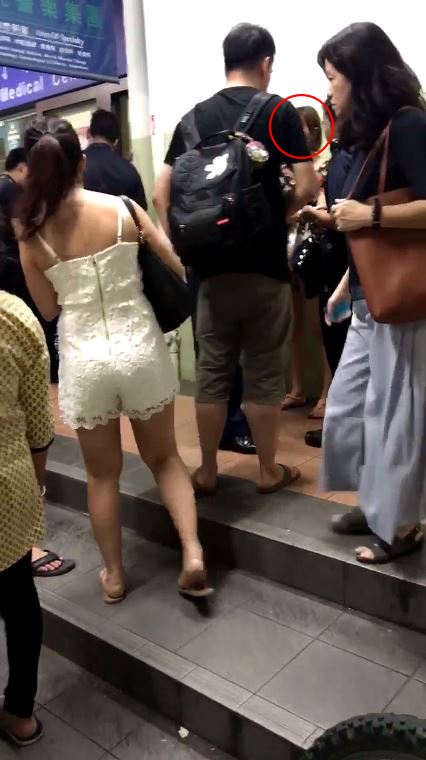 In response to media queries from Stomp, the police said that they were alerted to the case of outrage of modesty at around 8.37pm. "A 29-year-old man has been arrested in relation to the case," said the police.